MCh (CTVS) , MS(General Surgery) , M.B.B.S. Dr. Anil Bhan is one of the best doctor in Gurgaon. Dr. Anil Bhan an outstanding cardiovascular surgeon and a graduate from Medical College Srinagar (Best outgoing graduate-Gold Medalist). Dr. Anil Bhan possesses largest experience in Aortic surgery in India. Dr. Anil Bhan has designed and developed more than 50 surgical instruments in the field of cardiac surgery. Dr. Bhan was one of the team members that performed the first successful Heart Transplantation in India (1994). Dr. Anil Bhan is associated with starting the three cardiac surgical programmes at Putta-parthi, 1992, Whitefield 2001 and Max Heart and Vascular Institute Saket (2004). Dr. Anil Bhan has performed more than 15,000 cardiac and vascular procedures with excellent outcomes, matching with the best in the world. 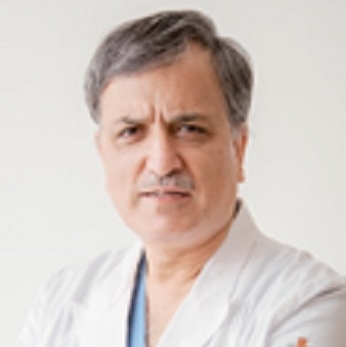 Dr Anil Bhan is one of the best Pediatric Cardiac surgeon in Gurgaon and has an experience of 35 Years in the field. Delivered the prestigious P.K. Sen Oration at the CT Conference, 2009, Performed the youngest bypass in the world literature with coronary aneurysm repair at the age of 18 months, 2007, Did the first extra corporeal membrane oxygenation (ECMO) in India, 2000, Used for the first time harmonic scalpel for the harvest of radial/internal mammary artery conduits in India, 1995.